The Acting Chairman of the Economic and Financial Crimes Commission, EFCC, Ibrahim Magu has vowed to go after senior lawyers who help looters escape justice. Magu gave the hint on Tuesday at the opening of a one-day workshop organised by the Nigeria Bar Association, NBA, in collaboration with the Presidential Advisory Committee against Corruption, PACC, in Abuja. According to the EFCC czar, there was need for stakeholders to collaborate with the commission in a bid to stamp out corruption in the country. 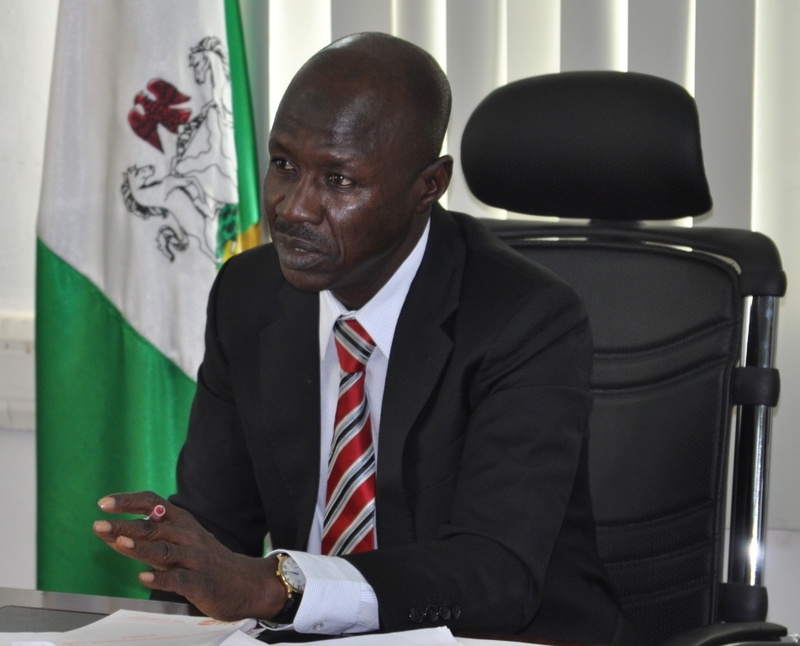 Warning that the commission will not spear anyone in its fight against corruption, Magu vowed to fight money laundering. “We will not stop going after people who are involved in laundering money. “It doesn’t matter who you are, the law is a respecter of nobody, especially those who commit crime. “Whether you are EFCC, SAN or whatever, sooner or later we will start going after people who buy properties with stolen funds as well as people who help others to escape justice,” Magu said.